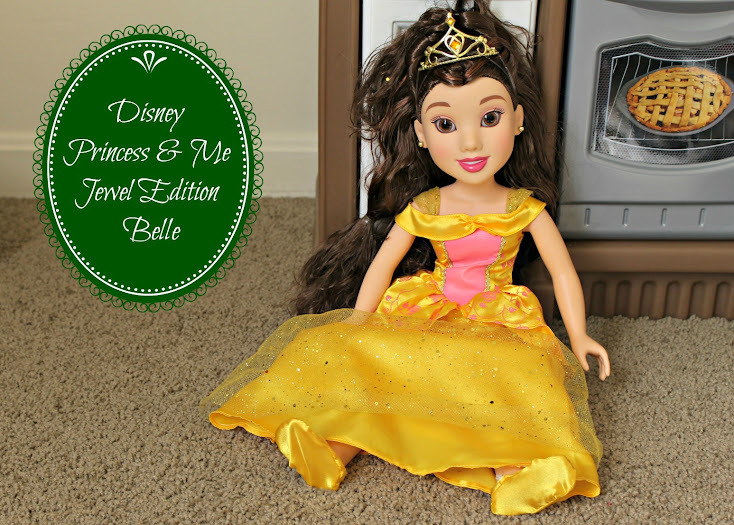 We received a Disney Princess & Me Jewel Edition Belle in order to facilitate our review. No additional compensation was received and all words and thoughts are my own. My husband thinks I put her up to it (I don’t), but Bubbles randomly starts running around the house yelling, “I do, I do, I DO want to go to Disney!” She then tells us a list of all the friends she wants to meet while there: Minnie & Mickey, Tinker Bell and the fairies, and, of course, the princesses. Kind of hard to deny that enthusiasm! While we can’t hop down the road to Disney World right now, we can create opportunities to play with her friends while at home. Last month Disney had an “I am a PRINCESS weekend” on the Disney Channel. If you missed it, don’t worry. There’s lot of princess goodness scheduled for the rest of the year. In addition to watching Princess movies like Tangled and Cinderella on the Disney Channel or on DVDs, we also like to play princess. 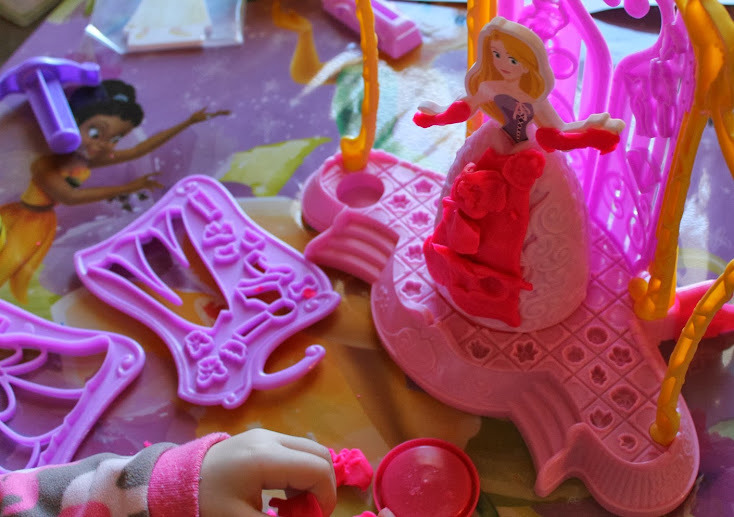 Bubbles has a tiara that she likes to wear, as well as a fancy “princess skirt” made of tulle. She then sends her little princess and prince friends off on fun adventures in her castle – like when they all received puppies to take care of, went to a ball, or even when they’re just having naptime (“Shh, mama, the princesses are sleepy”).